There’s a valid point to this. Baseball is a game of hierarchy, from locker assignments to seating charts on team transportation to what a guy can get away with on the field. Without question, a lesser player trying to replicate the self-glorifying admiration provided by Barry Bonds for his own home runs would quickly be beaten down, be it physically or psychically—likely from the opposition and his own teammates. And when a star’s path crosses that of a lesser player, Darwinism almost inevitably wins out: the big fish eats the little one. In general, there is a hierarchical structure to this type of thing. It’s partly what made Dickie Noles‘ flipping of George Brett in the ’80 World Series (remember that?) so brazen—unless a pitcher is a superstar himself, he has no business intentionally knocking down one of the five best third basemen of all time . . . and Noles wasn’t even a veteran, let alone a star. But that standard doesn’t really apply here. And he’s right. The stature of those who hold real estate is less important than the fact that they hold it at all. That Braden went so far as to equate A-Rod’s move not just with personal disrespect, but disrespect for the entire A’s organization, also says a lot. It probably wasn’t even intentional, but Braden just gave his team the best pep talk it could ever hope for: We’re every bit as good as the Yankees, and they will not walk over us, literally or figuratively. I might have a problem with a young hothead trying to intimidate a star, but that isn’t this. Braden wants only what’s rightfully his, and he has every right to do so. Some across the blogosphere have portrayed Braden as an insolent punk, but as someone who has had many conversations with the guy, I can say that he’s one of the most thoughtful people in the game—a player who gets it in a sport where many people don’t. Just because A-Rod didn’t know the rule doesn’t wipe it out of existence. 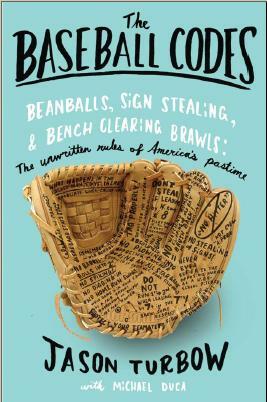 Braden does know the rule, and is holding A-Rod to no less exacting a standard than he holds himself. Braden has a complex. Frankly, didn’t he break one of the “rules” by threatening to throw at a batter? This is a case of a punk trying to be more than he is. Players run over the mound at times during play, are we supposed to then believe that it means that instead of being able to make a play the player should be “respectful” of the mound and go around it? If ARod had bumped into the little fool, then there is cause for words. Pep talk? Don’t believe it. He painted a target on his and his teams back because of mouthing off about nothing. The dogs that bark the most have the least to back it up with. That’s why the little dogs are always yipping, while the big dogs lick their lips. No question, little dogs have to yip louder. But that suggests Braden’s response was calculated to achieve a particular result. Not so. Plain and simple, the guy knows the unwritten rules, and abided by them. Had A-Rod pulled that against Bob Gibson, he’d have left his feet during his next at-bat, guaranteed. You can get back into the argument about Gibson having the stature to challenge Rodriguez, but the fact remains that Gibson was a Code adherent — and so is Braden. Having spent four years talking to guys exclusively about this subject, one thing became very clear: The ones who care most about the Code (and there are fewer of them every year) are the ones who care most about the game. Dallas Braden understands the baseline level of respect that should be afforded opponents (and to the game itself), and for a guy who does his business on a pitcher’s mound, there’s no more clear violation of that respect than to physically trod upon it. It’s not like he’s making this stuff up. More to the point, he’s protecting it because it’s dear to him. And it should be. Outside of NY Arod is just another steriod junkie with padded stats. looks like braden made history with a no-no. a-rod makes history as a juicer….go figure. Except plenty of players have come out and said they weren’t aware of this “rule.” Player hierarchy is irrelevant in this situation – what matters is if this supposed “rule” Braden was “enforcing” is legitimate or not. The rule is legit. That it’s not among the more prevalent pieces of the Code hardly means it doesn’t exist. There’s an accepted way to play the game; whether or not this rule is part of the Code’s baseline tenets is certainly up for debate, but there’s no denying that it’s established law, dating back at least to the ’50s, if not much farther. What I appreciate most about this situation is that the issue has been forced into players’ consciousness. There’s a right way to play the game and a wrong way; even if this is squarely in the gray area between the two, it’s at least getting them to consider the concept. What surprises me most is how few broadcasters/sportscasters/sports writers knew of this rule as well as current players. The MLB team and ESPN Baseball Tonight folks seemed clueless, as did the players they spoke with. I have known about this rule since I played as a child. Don’t they teach this stuff any more? Braden said he had known about it at least since American Legion ball. A-Rod is a veteran superstar? More like a uncovered cheating fraud. He deserves no respect from younger players, or from anyone for that matter. Good for Braden. Young punk or not, Roid-Rod is an old fraud. A-Rod is a pimple on the face of the game. He deserved worse than what he got. His ego is a bigger star than he is. Strikes me as a lot of superstitious, OCD nonsense on Braden’s part. I hope opposing baserunners returning to first from now on always run over “his” mound on the way back. I mean, he got the inning-ending DP (and the win) after Rod’s alleged faux pas. But it seems like it’s kind of easy to get under his skin. Nice stuff. I included some of your points on my site and referenced yours. Bottom line is to forget the unwritten rule stuff. What A-Rod did is jerky, and even more so because of what he’s done before. Braden got mad at first, but he explained calmly after the game that, as you said, it doesn’t matter how good of a pitcher he is. You just shouldn’t do that to anyone. 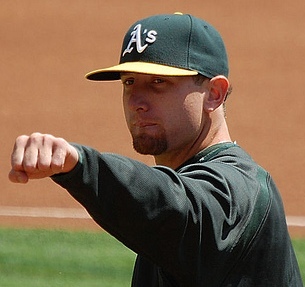 I’m lucky to be an A’s fan and have been able to follow Braden’s career since his first start against Baltimore. Looking at his life story and where he came from he’d probably agree with ( and probably even approve of ) you calling him a punk or tough guy. But goddang what a great man he has grown into. it’s a pleasure having him on the team I follow everyday. It’s just too bad the rest of baseball has been missing out. The implication that Braden should not speak up because of his stature implies a different set of rules and standards based on popularity and stature, a premise I’m simply unwilling to accept. A-Rod messed up and is open to criticism from anyone. An A’s blind homer supporting his home town thug. So did you change your opinion now that Braden has been unable to let the situation go? Or is your hate of A-Rod so overwhelming that anything that Braden does is justifiable? This blog is just another in a step in the horrible “ESPNization” of sports where the meta is more important than the actual. Where kids that dreamed of playing but never did play get to impose their dream vision of what baseball “should be” onto the reality of the game. Let’s assume that A-Rod is 100% culpable for violating this “code”, a code that you fully admit is a “lesser” rule. Does that justify Braden’s thuggish and childish behavior on the matter? Threats of violence? A continuation of the matter weeks after it occurred? Baseball needs more real fans that enjoy the game and less non-players telling players how they should be playing a game they play everyday, or turning every little thing into a new episode of Jersey Shore.